Fireflies Original Art is located in Studio 7 and the McNeely Gallery. Being the studio owner and gallery curator can be stressful. 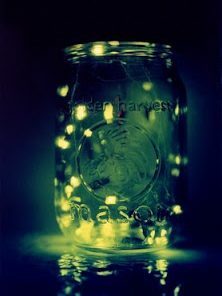 Fireflies allows me to relax and express myself. I love working with paper…making paper, marbling paper, creating paper sculptures. I also love to make books…Japanese folding books, hand bound journals, sketchbooks. 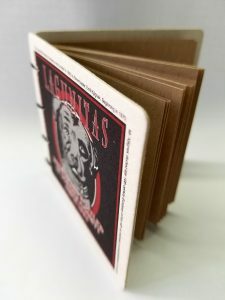 My newest creation is the “Beer Book.” These little books are bound using beer coasters I collect everywhere I go. Beer books are the perfect gift for the person that has everything. They are the right size for passwords, lists, notes, or phone numbers and addresses. And I ship in the USA and to APO addresses. 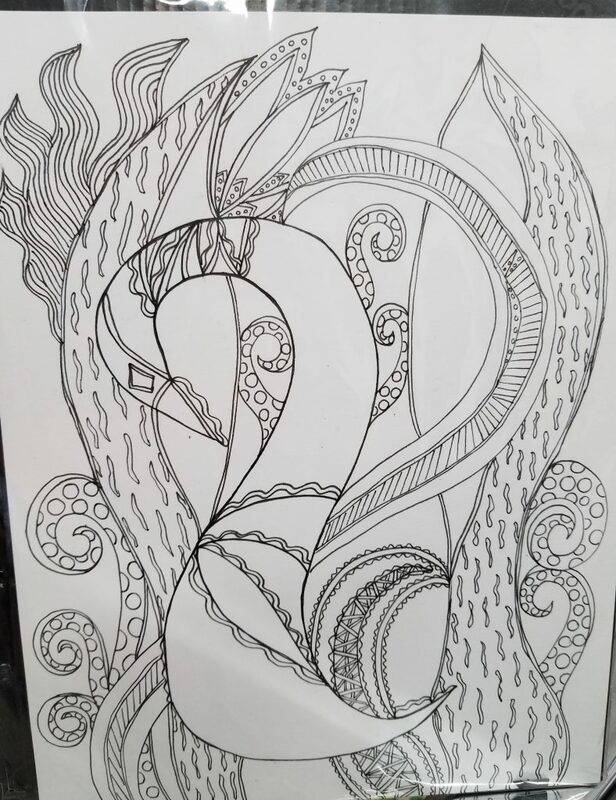 In addition to my books, I enjoy painting and doodling. 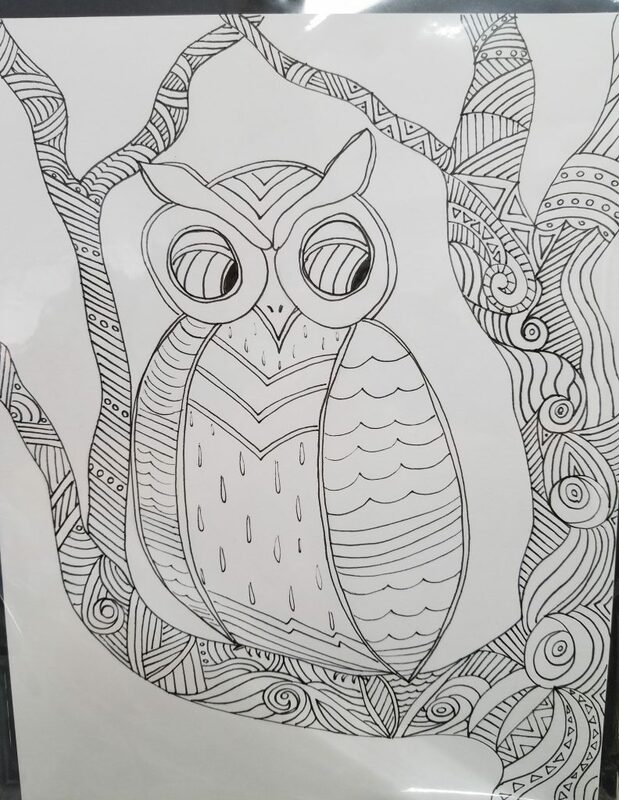 My doodles are sold as original coloring pages, complete with frame, certificate and colored pencils. 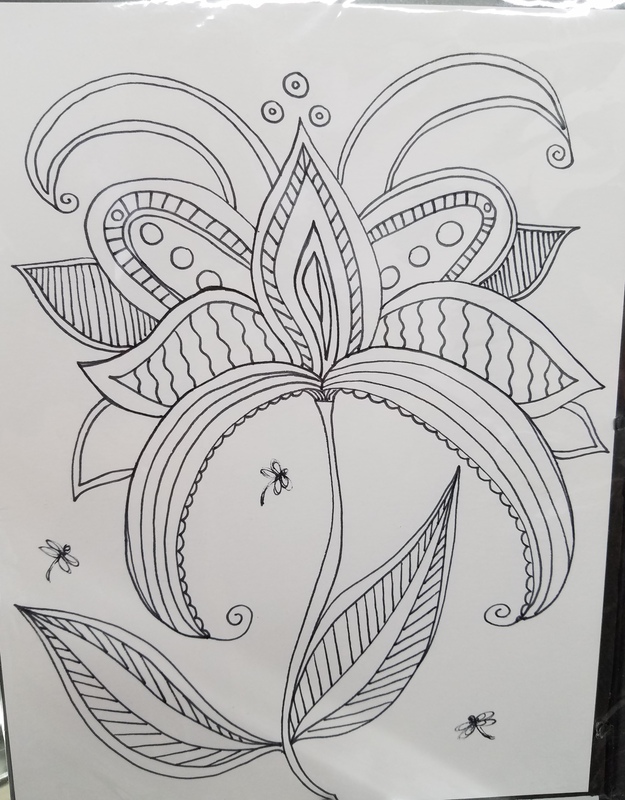 These also make wonderful gifts for kids’ birthday parties, or just for yourself to take to the park and color on a beautiful day. I also paint blocks, make chakra hangers, and Japanese folding book necklaces for the Art-o-mat machines located all over the world. 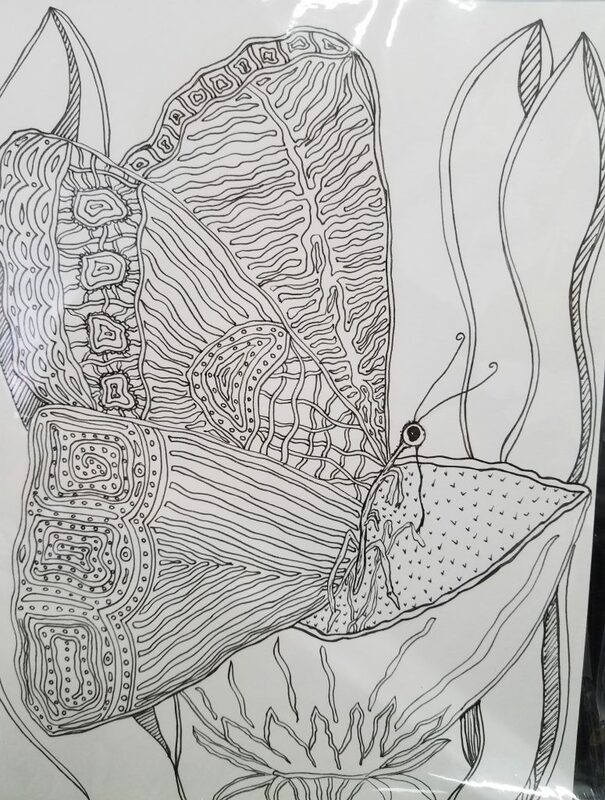 I love sharing my art with others and will ship it anywhere in the USA and to APO addresses. Below are some of the items that I have for sale. 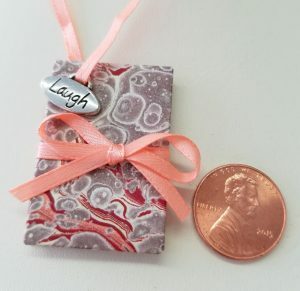 These little wearable works of art are the perfect place to write your favorite quote, wishes and dreams, or blessings. Made of hand marbled paper, with cotton rag or cream sketchbook paper inside, these necklaces come with an adjustable ribbon and a charm. Charms vary, as does the marbled paper. Cost $10, free shipping. My hand bound books are covered in marbled paper and are perfect for journals, sketchbooks, diaries, or family histories. The inner pages are all archival papers. Books are bound with bees-waxed linen thread by hand using a variety of stitches. No two books are alike. 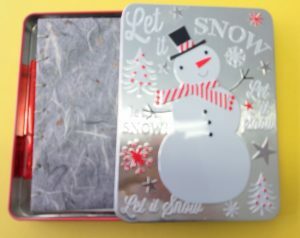 small books may be made especially for children, and come in a little tin with colored pencils, pens, or crayons. Costs vary for $25 up depending on size + shipping. 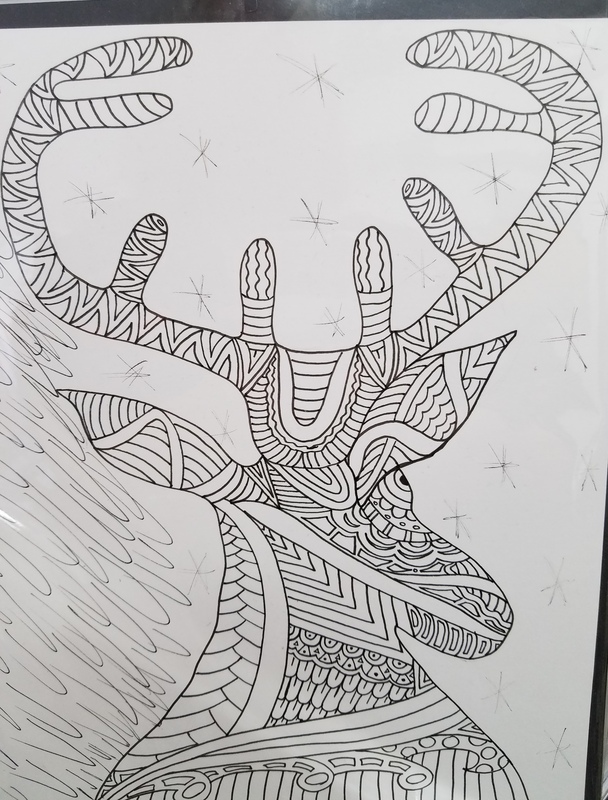 My original coloring book pages come complete with everything you need to make a piece of art to hang on your wall. Each page is 8.5 x 11 inches and comes with a frame, certificate, and box of colored pencils. It’s the perfect gift for kid birthday parties, the little gift for work parties, something to keep in the car for the kids or grandkids to do when they’re riding in the car, or for you to pick up to enjoy on a beautiful day in the park. It’s suitable to take to the friend recovering from an illness or surgery that needs to rest and recuperate, but not go stir crazy watching mindless tv all day. 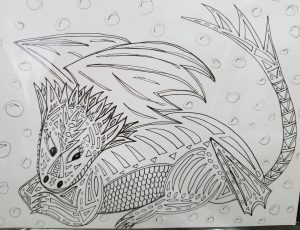 I draw a variety of designs as I sit and doodle, but I can draw specific animals, scenes, etc. if you request them. 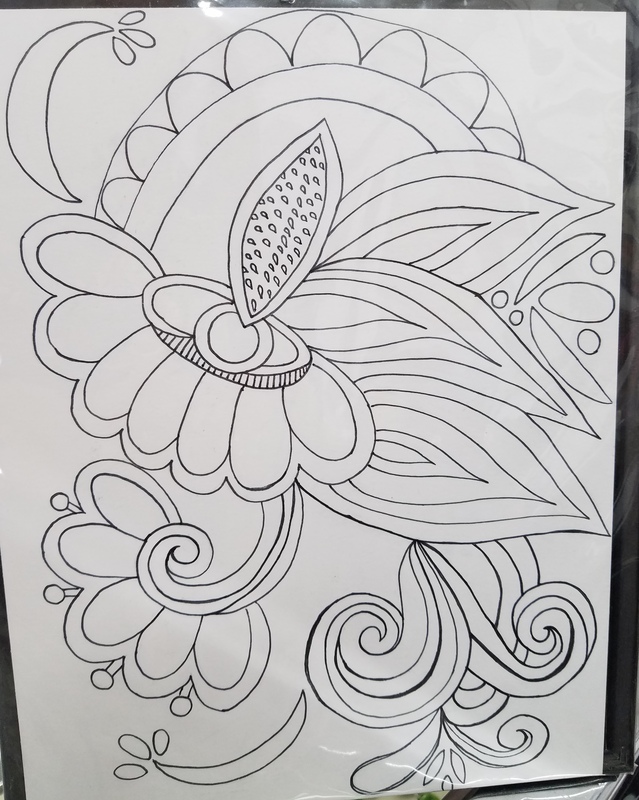 All coloring book page sets are $10 + shipping.